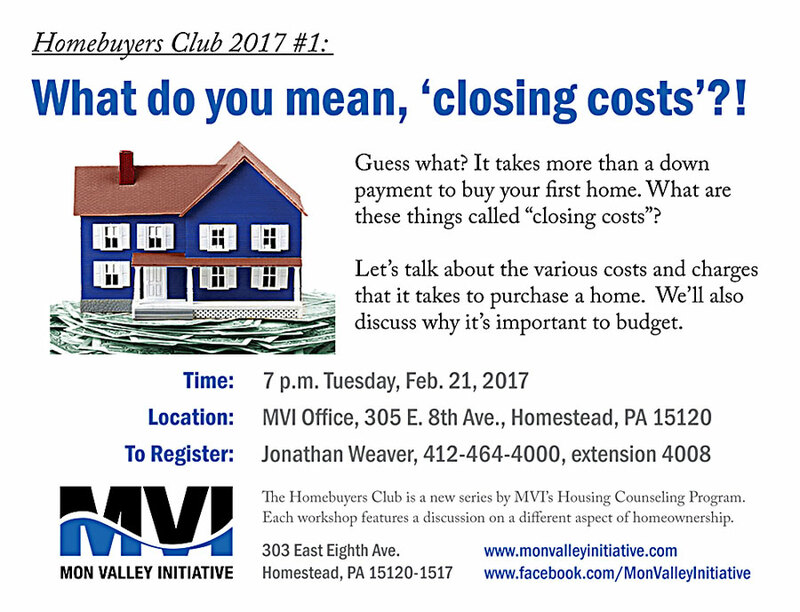 The Homebuyers Club is a series of group discussions hosted by MVI’s Housing Counseling Program. Each workshop features a discussion on a different aspect of homeownership. What are they? Why do you have to pay them when you buy a home? We’ll talk about the various costs and charges that it takes to purchase a home. We’ll also discuss why it’s important to budget. To register, call Jonathan Weaver, 412-464-4000, extension 4008, or email jweaver@monvalleyinitiative.com.